Jonathan Roxmouth, the leading man of the international tour of “The Phantom of the Opera”, will be returning to Manila after ‘Phantom’ concludes its Manila leg on March 31. 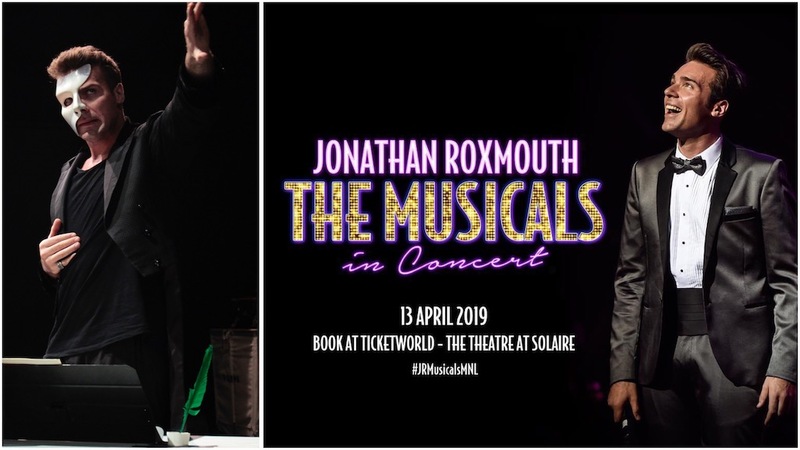 He will be performing in a concert entitled “Jonathan Roxmouth, The Musicals in Concert”, with a few special guests, on April 13, 3pm and 8pm, at The Theatre at Solaire. Accompanied by a live orchestra, Jonathan will perform some of Broadway’s biggest hits, including “Bring Him Home” (Les Misérables), “Memory” (CATS), “Luck be a Lady” (Guys and Dolls), “Maria” (West Side Story) and “Music of the Night” (The Phantom of the Opera). 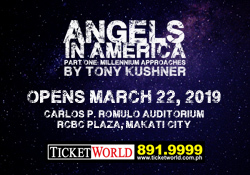 Roxmouth first came to Manila in 2012 when he performed the titular role of “The Phantom” at the CCP in 2012. He returns to play the role at this year’s international tour, which will run from February 20 to March 31 at The Theatre at Solaire. FIRST LOOK: “The Phantom of the Opera” Cast Performs ‘Think of Me’, ‘The Music of the Night’, and More! Roxmouth’s 2012 tour of “The Phantom of the Opera” in Manila made Far East history as he became the youngest English-speaking Phantom yet. He has also played leading roles in West Side Story, Evita, Chicago, Cats, Sunset Boulevard, Grease, Sweeney Todd and Buddy Holly. Jonathan has eight recording albums to his credit and regularly performs to sell-out crowds in his native South Africa. Ticket prices for the concert are P5200 for VIP (Orchestra Center- Stalls and Premium Gold), P3600 for Price Zone A (Orchestra-Stalls, Premium Gold, and Orchestra Row VA), P2500 for Price Zone C (Balcony + Extra Row FFF), and P1500 for Price Zone D (Back Balcony). Previous Win tickets to "Coriolano" by Tanghalang Pilipino! Next WATCH: "Frozen 2" Teaser Trailer Released!